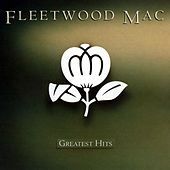 Fleetwood Mac's Greatest Hits collection is a solid introduction to the band for fans and casual listeners alike, as it highlights their hit-making prowess throughout the 1970's and early '80s. Hits borrows generously from the phenomenal albums Fleetwood Mac and Rumours, two of the band's career-defining efforts. 1988 Warner Bros. Records Inc.